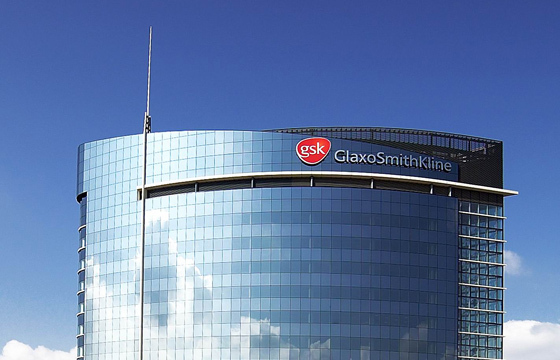 GlaxoSmithKline has continued to build the case for its three-drug combination for chronic obstructive pulmonary disease, saying it outperformed AstraZeneca's Symbicort in a head-to-head study. The phase III FULFIL trial compared the once-daily triple therapy - consisting of corticosteroid fluticasone furoate, long-acting muscarinic antagonist (LAMA) umeclidinium and long-acting beta agonist (LABA) vilanterol - to Symbicort, a twice-daily drug based on short-acting beta agonist formoterol and steroid budesonide. The study met its objectives, with the triple therapy showing significant improvements in lung function compared to AZ's product and also improving patients' self-reported quality of life scores. The company also reiterated that it intends to file for approval of the triple therapy in both Europe and the US by the end of the year, and head of respiratory R&D Dave Allen said the new data "marks a further step towards making this closed triple combination therapy available to appropriate patients with COPD". Triple combination therapy is already a reality for many patients with COPD, he noted, but is currently dispensed in multiple inhalers. "By combining three medicines in a single inhaler we can offer a convenient, once-daily dosing option to patients while improving their symptoms," said Allen. The triple therapy is seen as a key component in GSK's respiratory pipeline as it faces downward pricing pressure and competition to blockbuster product Seretide/Advair (fluticasone propionate/salmeterol), which has seen sales slip by around a third from a peak in 2013 to £3.7bn ($5.4bn) last year. Meanwhile, Symbicort was a $3.3bn product for AZ last year but has started to feel the effects of generic competition in Europe, lower prices and newer dual therapies based on LAMA, LABA and steroid combinations. These include GSK's Relvar/Breo (vilanterol/fluticasone furoate) and Anoro (vilanterol/umeclidinium bromide), as well as Novartis' Ultibro (glycopyrronium/indacaterol), AZ's own Duaklir (aclidinium bromide/formoterol fumarate) and Boehringer Ingelheim's Spiolto (tiotropium/olodaterol). Sales of Symbicort dipped 11% in the first quarter of 2016 and analysts have suggested the brand could lose around $2bn in annual sales by 2020, assuming loss of US patent protection in 2018.